Everyone is so excited about the new Central Park project with our new flowers, railings, garbage cans and renovated benches. 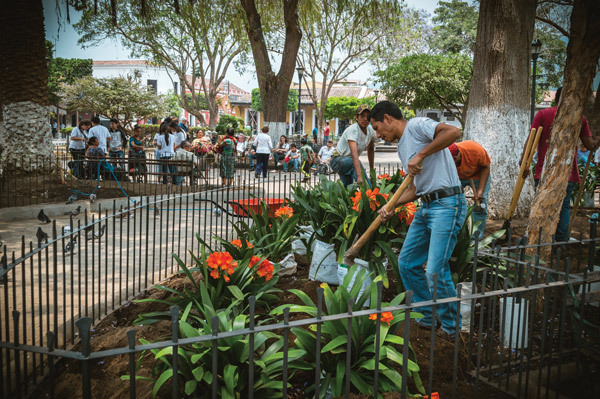 The Comité de Ornato La Antigua is doing a wonderful job renewing our Parque Central! 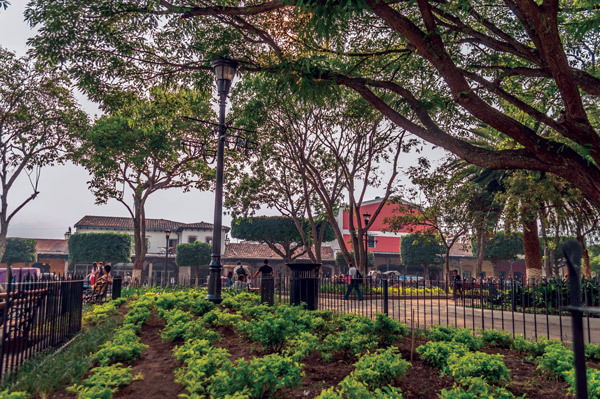 The history of the Plaza Mayor, known now as Central Park, goes back to the beginning of the city when the first city planners laid out the streets and avenues in 1541—the year that floods forced the move from the area near Ciudad Vieja. 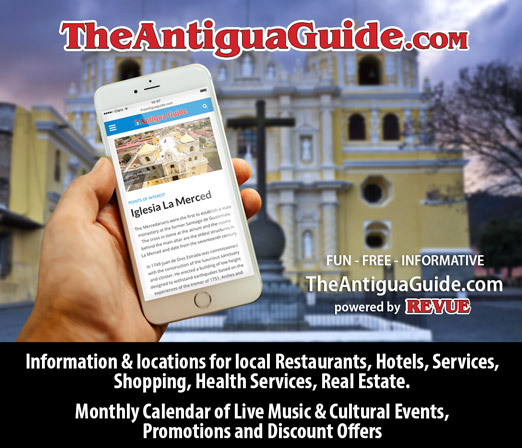 While the city planning was attributed to Juan Bautista Antonelli, recent historical research indicates he may have not been here at that time. Perhaps he was the mastermind for the basic design of cities in the New World with the grid included in the Laws of the Indies. 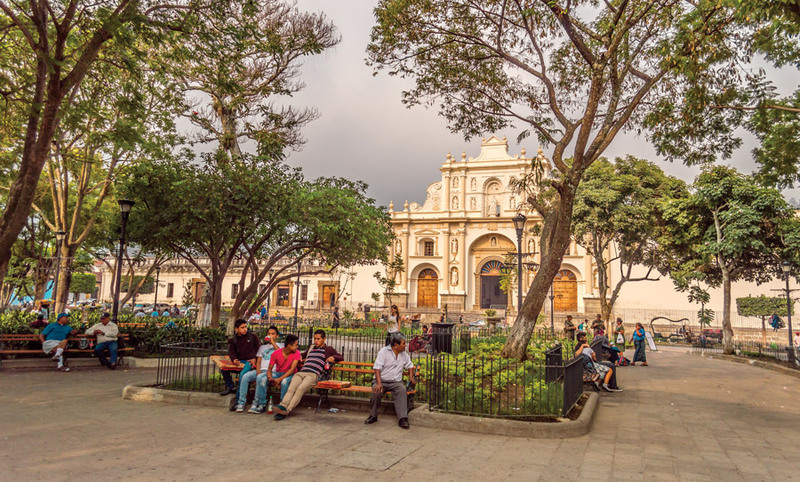 The Plaza Mayor was the commercial, civil, religious and civic center for the new capital. 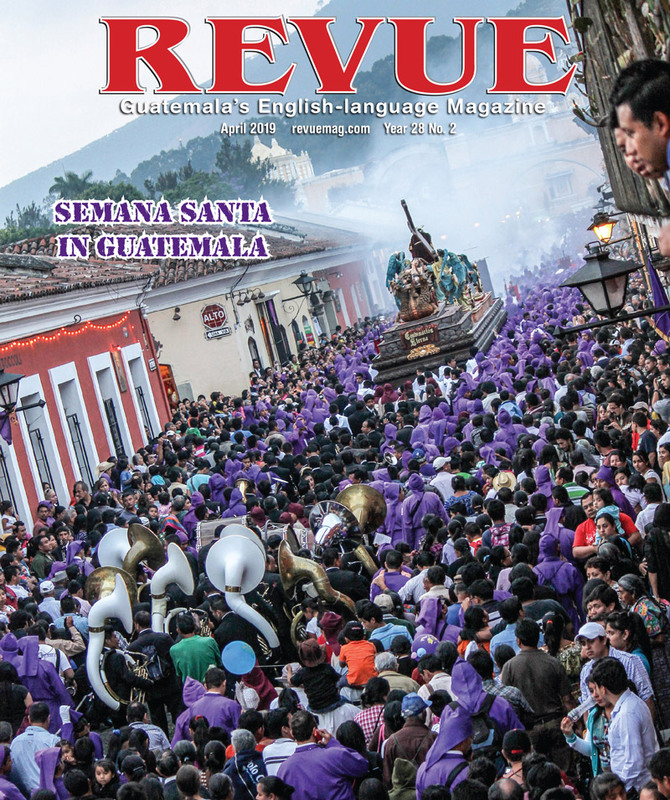 Many major activities have been hosted there—processions, bullfights, hangings, horse races and courting—over the years. Water was introduced in 1555 and the Fountain of La Gomera was completed in 1617, as seen in Antonio Ramírez and Montufar’s painting from 1678. 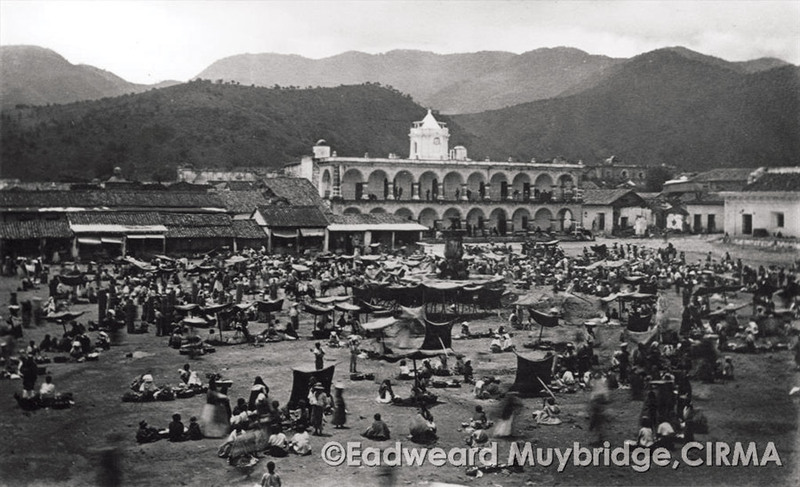 Cobblestones were added in some areas in 1704, and the original fountain from 1738 was erected by the Guatemalan architect Diego de Porres, as seen in Edweard Muybridge’s photograph from 1875. The market was moved to la Compañía de Jesús in 1912 (and later moved again). 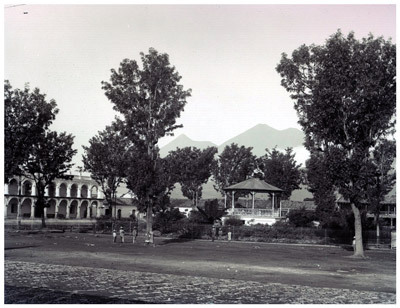 With Gen. Enrique Haussler as governor, the fountain was removed in 1936 (the original torzos are in the Museo de Santiago) and a bandstand was erected. That was short lived and a “new” fountain was built using the design from the original fountain but much of the detail was lost. The cement area around the current fountain was added (with a proposal now to change that). 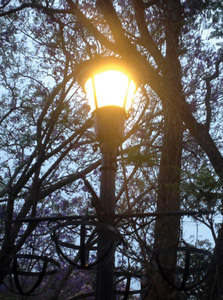 Other historical changes include moving statutes that were once on the four corners to La Candelaria in the 1940s, and major works have included those by the Park Committee in 1993 and the God Child Project after that. Indeed, it was time for a sprucing up of our park! The spectacular changes also include renovating all of the planters with color-coordinated gardens. We congratulate the Park Committee for its magnificent work. Architect Rodrigo González is at the helm and I’ll let the photos speak for themselves! The new additions make an already beautiful park more beautiful. Good work. Let’s keep up the momentum. Antigua deserves it.